Banking upon BlackBerry’s iconic image in India, Optiemus Infracom Limited — the firm that owns the rights to manufacture and sell BlackBerry-branded smartphones in the country — is aiming to capture 10 percent of the market share in segments it is currently present in, a senior company executive said on Monday. According to Hardip Singh, Executive Director, Optiemus Infracom Ltd, the company is also gearing up to launch more smartphones in the country in this quarter to fend off competition from Chinese smartphone players. “Once we have our entire product range in place, we would want to capture 10 per cent market share in the price segments in which we are present,” Singh told IANS in an interview here. Singh, however, did not reveal the price points in which the new devices would be launched. “Our previous device, the KeyONE, surpassed our expectations. We are coming up with a whole range of devices in this quarter and ‘KEY2’ is just the start. Users can expect a lot of action happening in this quarter from us,” Singh informed. 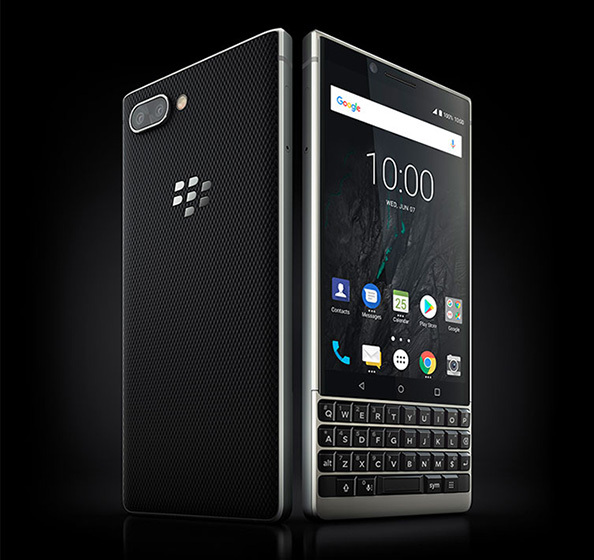 Optiemus Infracom on Monday launched its keyboard-based BlackBerry KEY2 in india for Rs 42,990. KEY2 comes with the legendary security features that BlackBerry is known for, including the pre-loaded “DTEK by BlackBerry” app. This enables users to automatically view how apps may be accessing personal data and manage permissions appropriately. Another pre-loaded app called “Locker” provides personal privacy control. This can only be accessed through fingerprint or password, helping store and protect sensitive user data, apps and content such as photos and downloaded files. Manufactured at Optiemus Infracom’s Noida facility, the 6GB RAM and 64GB internal memory device will be available on Amazon.in from July 31. It comes bundled with Reliance Jio cashback offer of Rs 4,450. “We have been perfecting our approach to mobile security for decades, and are excited that the BlackBerry KEY2 is being made locally in India by Optiemus, designed for security from the inside out,” said Alex Thurber, SVP and GM of Mobility Solutions at BlackBerry. In the wake of current data breaches across the globe and here in India, users are increasingly concerned about the safety of their information, especially on mobile. “The BlackBerry KEY2 is an answer to that. It not only comes loaded with the best security and privacy enhancement features, but also with accurate and comfortable typing on an intelligent keyboard,” Singh noted. Founded in 1993, Optiemus Infracom introduced the first mobile phone in the country way back in 1995. Optiemus has also formed a joint venture with Taiwan-based OEM Wistron Corporation for a mobile manufacturing unit. In February 2017, Optiemus signed a licensing deal with BlackBerry to design, manufacture and distribute BlackBerry branded devices In India, Sri Lanka, Bangladesh and Nepal.